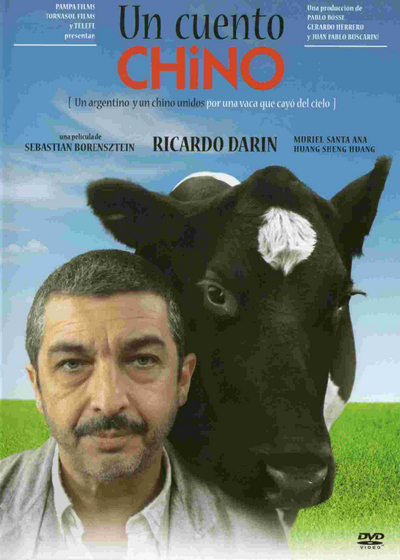 Roberto (Ricardo Darin) is a hardware store owner who may be short of a few screws. He's impatient with his customers, angry with his suppliers, and simply unable to come to terms with his feelings for the attractive friend who is smitten with him. But one day Roberto meets a young Chinese man who is alone in Buenos Aires, lost and unable to speak a word of Spanish. Jun shows a tattoo with an address on his arm. Roberto heads to the spot with Jun and discover that the place belonged to Jun's uncle that sold it three and half years ago. Roberto goes with Jun to the police station, to the China's embassy and to a Chinese neighborhood to seek out his uncle but it is a fruitless search. His instinctive offer of help is the beginning of a strange friendship that will change his life.